Dr. Romezi is fluent in Farsi and conversant in Spanish. In her spare time, she enjoys running, hot yoga, live music, and spending quality time with her rescue dog, Laylay. Dr. Mona Romezi believes in treating the whole woman- listening to their needs and forging lifelong relationships with her patients. Dr. Romezi sees pregnancy as one of the most important milestones in a woman’s life and is honored to be involved in her patients’ pregnancy, childbirth, and beyond, by providing comprehensive care. Additionally, she has a particular interest in minimally invasive laparoscopic and hysteroscopic surgery and is up to date with the newest technological advances in the field. 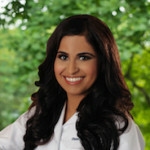 Dr. Romezi graduated from The University of Texas at Austin in 2006 with a Bachelor of Science degree in Biochemistry. 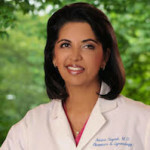 In 2010, she received her Doctor of Medicine degree from the University of Texas Medical Branch at Galveston. 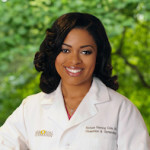 She completed her residency training in Obstetrics and Gynecology at Baylor College of Medicine in Houston, Texas, where she trained at Ben Taub General Hospital, St. Luke’s Episcopal Hospital, The Woman’s Hospital of Texas, Texas Children’s Pavilion for Woman, and Texas Children’s Hospital. During her residency, she was awarded the Resident Research Award for Top Research Abstract, and in her Chief year, she was awarded a poster presentation at the 2014 Society of Maternal-Fetal Medicine annual meeting. Dr. Romezi’s research focused on outcomes associated with excess weight gain in pregnancy.